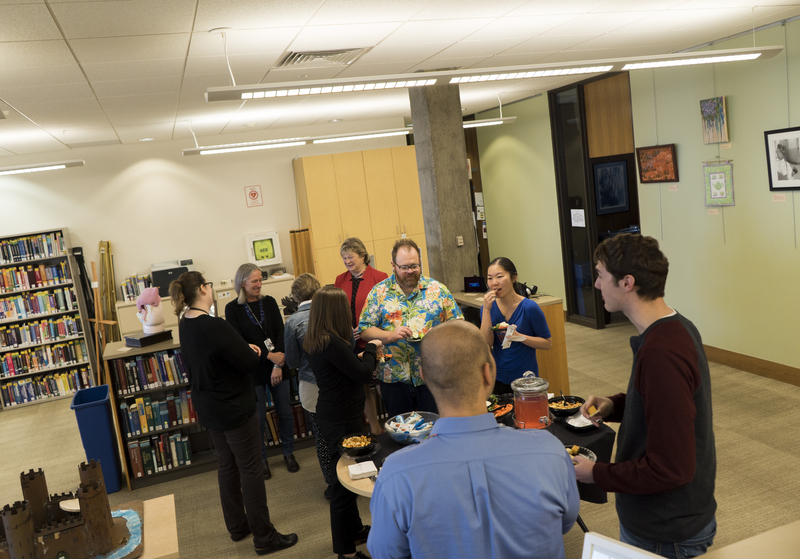 The EHSL Arts and Crafts Exhibit reception was held March 24, and the turnout was small but intimate. 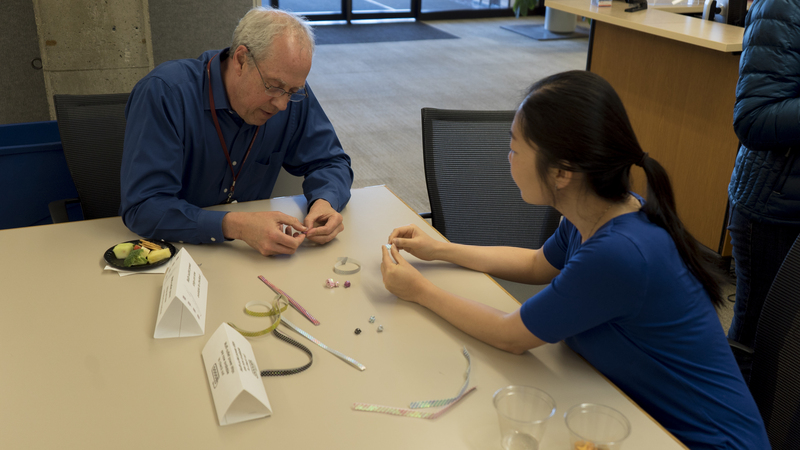 Some of my coworkers wanted to know how I made the stars so we had an impromptu hands-on workshop. Some additional photos from the event, courtesy of Bryan Hull. 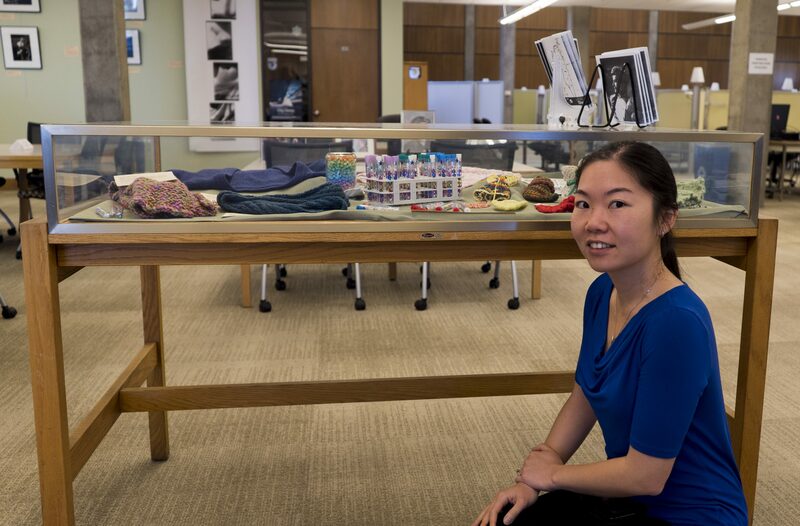 I am super excited to be part of the Eccles Health Sciences Library Artists and Crafters Exhibit (March 8 – April 7). Come by to see my origami pieces on display during the Library’s open hours! I discovered the craft of origami while in elementary school. My class was reading Sadako and the Thousand Paper Cranes and learning how to fold our own paper cranes. Over the years I’ve picked up a number of origami books and expanded my repertoire to include flowers, hearts, inanimate objects, and other animals. 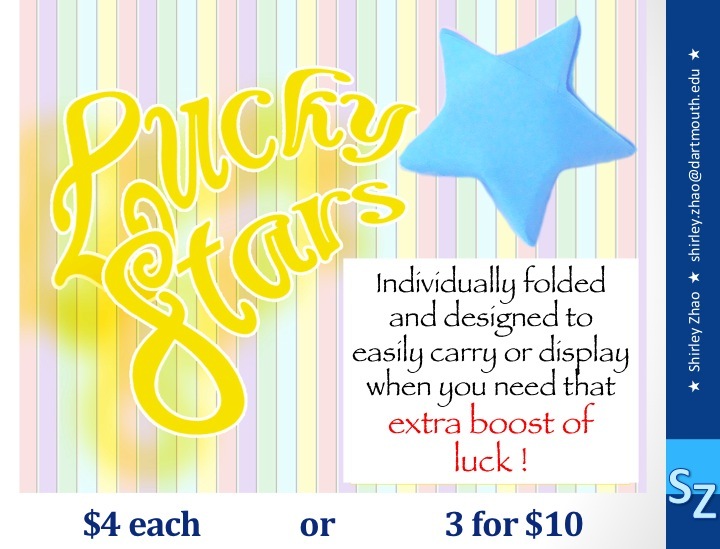 Nowadays I’ve settled on folding paper stars and looking for creative ways to display them. 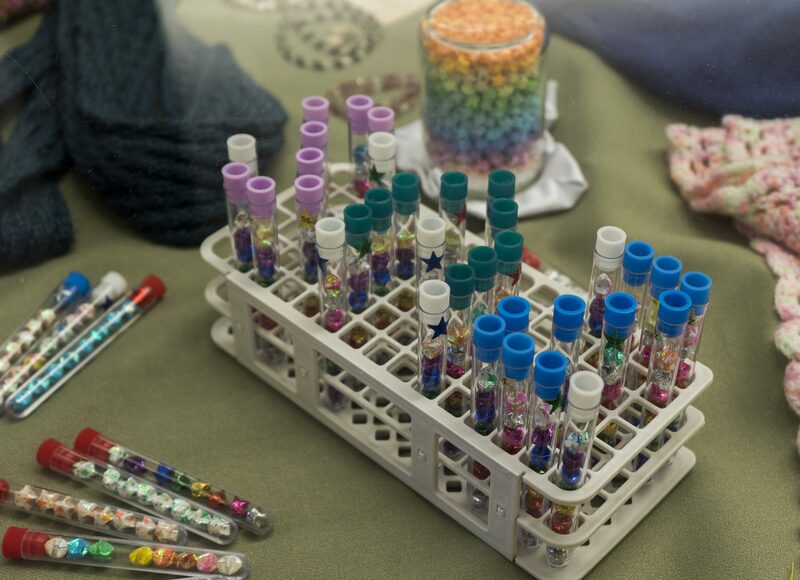 For this particular arrangement, there are two distinct pieces: “Lucky Stars” (the test tubes) and “Rainbow in a Jar” (see photo). 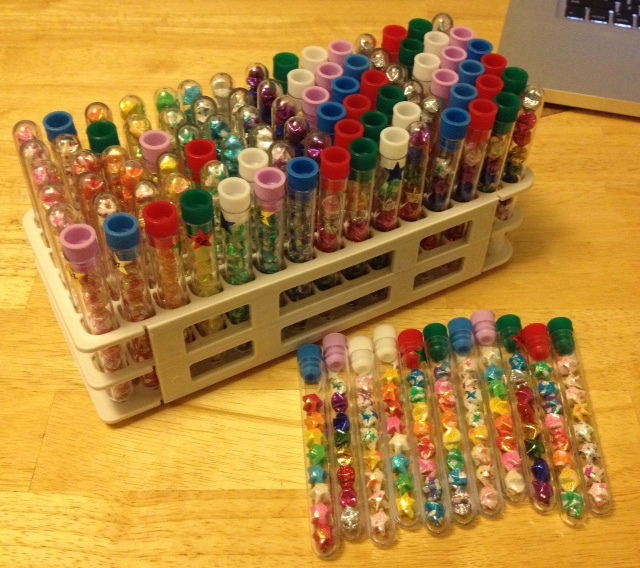 If you are interested in purchasing a tube of stars, please email me. 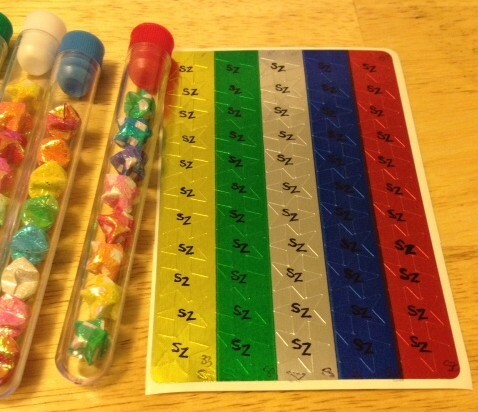 Challenge: the first person to correctly guess the exact number of stars inside “Rainbow in a Jar” will win a tube of “Lucky Stars.” One guess per person; details and submission form are here. Please read rules carefully before entering. Good luck! Several people have asked about how long it takes to make one star. Answer: 1-2 minutes depending on what I’m watching at the moment. I usually have something on Netflix or DramaFever running. So one complete tube takes about 15-20 minutes to put together. I made 101 for this fair, with the intention of selling 100 and saving one for my first sale. Special thanks to my sister for helping with the graphics design for the table sign. I think I priced it pretty fairly, taking into account the cost of materials plus paying myself minimum wage for labor and accounting for a slight profit and for the DCLSA cut (which benefits staff development). 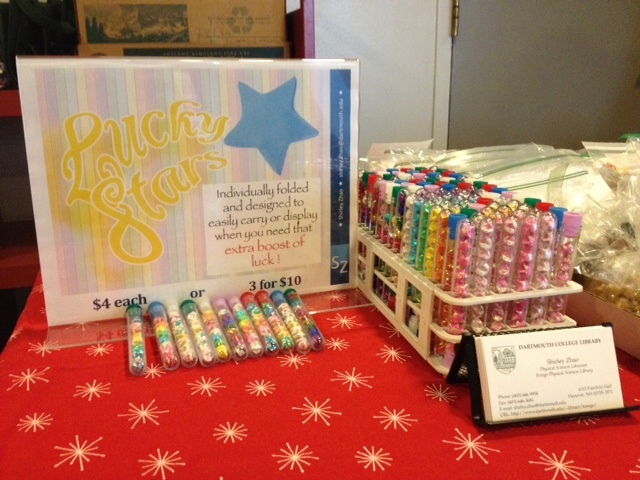 I spent some time volunteering at the table as well so by the time I left, I had sold 27 tubes of lucky stars! There was still another hour of the fair left so I don’t know if any more sales were made. I don’t know if 27% sold is high or low, but it’s not bad for my first time! 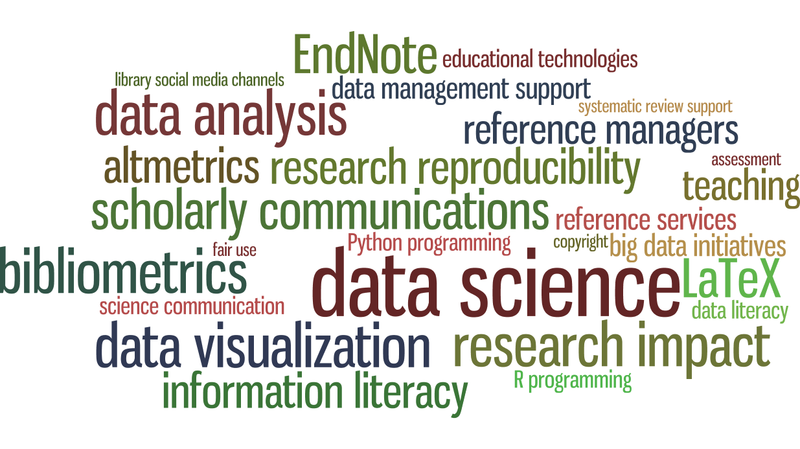 I’ve even gotten suggestions to expand. Karen suggested Christmas tree ornaments filled with stars. And Arjun is going to help manage this budding business. Haha, he thinks we should take this online. I’m not sure I can keep up with production if it takes off. I might have to quit my day job! I’ve got a similar idea for Mira’s jewelry business, but that one will take me some time to find the right size paper. Anyway, I’ll update this post with the final sales report on Monday. The numbers are in! They didn’t sell any more in the last hour so it is still 27 tubes (8 sets and 3 singles) at the fair. 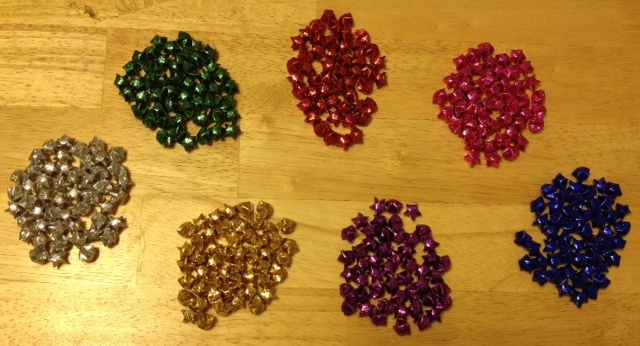 I sold 3 more sets privately afterwards, bringing the grand total to 36! 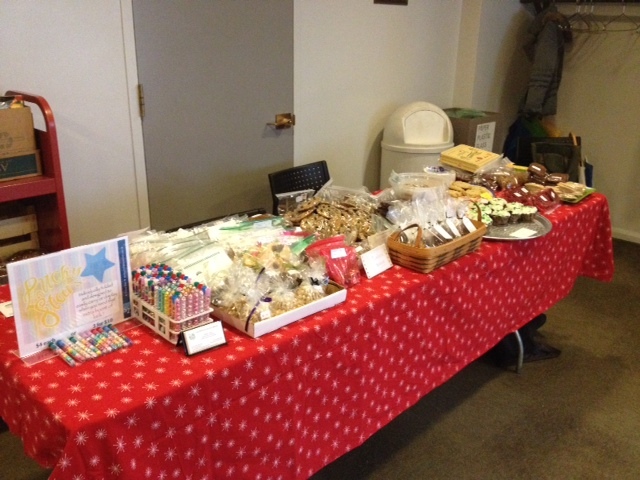 If you missed the fair and would still like to purchase or just look at them, contact me! I’ll have them in my office for the next month. I used to make these all the time in middle and high school so I took some time this weekend to complete my latest project (see the Mason jar photo). Here’s a few more shots of some other recent projects. #GABiomed "movie" was at the local planetarium. After the short program, they showed us the night sky using the Chronos projector. Really cool!